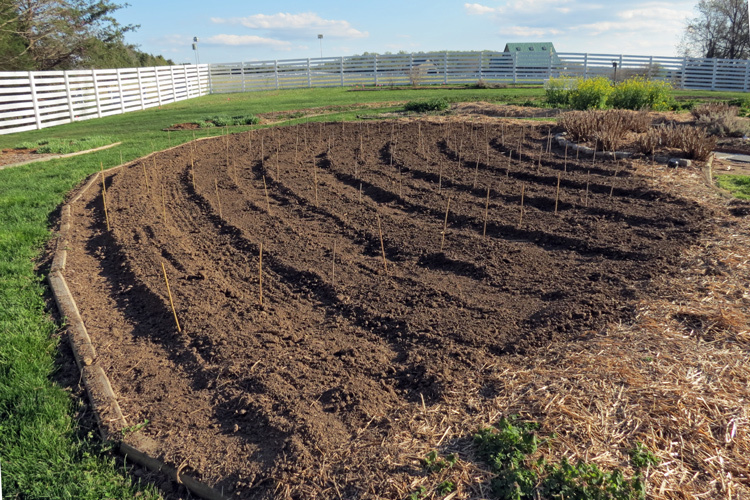 4 - Garden Layout - Perelandra Ltd.
Will your garden have rows and paths? Be straight or curved? How many rows? 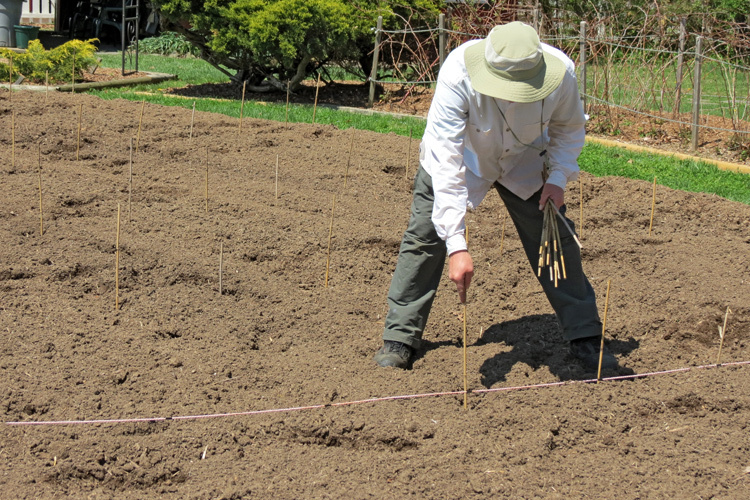 Marking the layout of your garden now simplifies the steps and work ahead. Working with nature, you'll get insights for how to make your work easier. 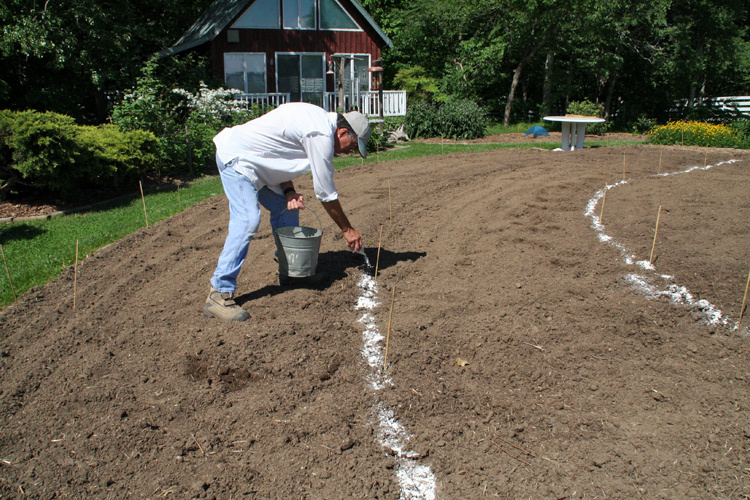 Here, Clarence is using flour (as in baking) to mark the rows and paths. It's easy to see when tilling. What's your layout? Ask nature. 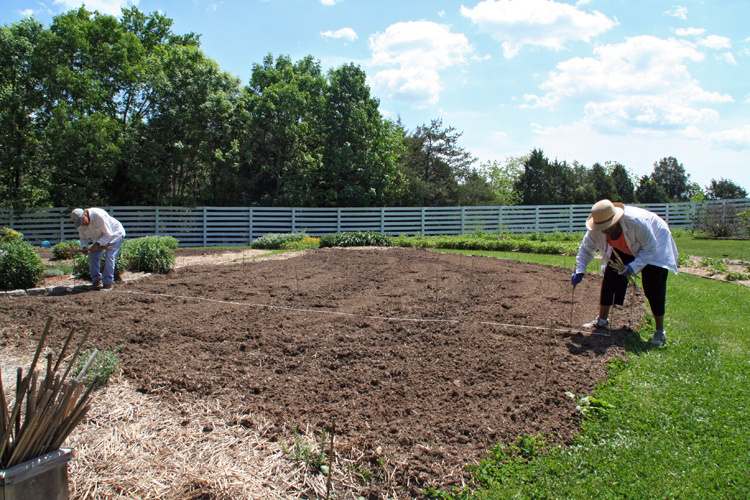 Part 4: Your garden layout.